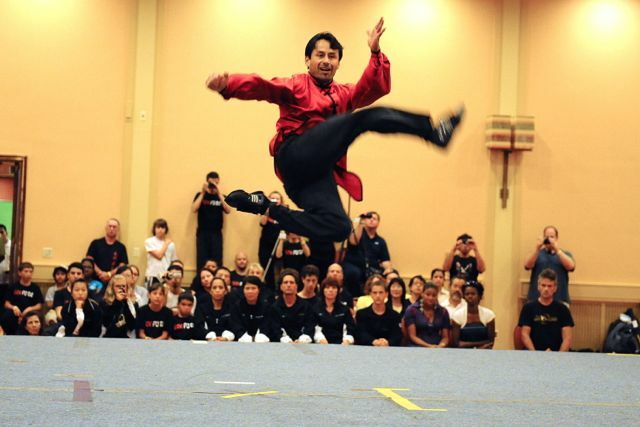 Master Ozuna breaks/sets 2 Guinness World Records. Most full contact punches in 1 minute - 713, and fastest martial arts punch - 43.3 MPH. In action with Master Alex Czech (Germany) while touring in China. In action in front of a pagoda - Sun Moon Lake, Taiwan 2006. 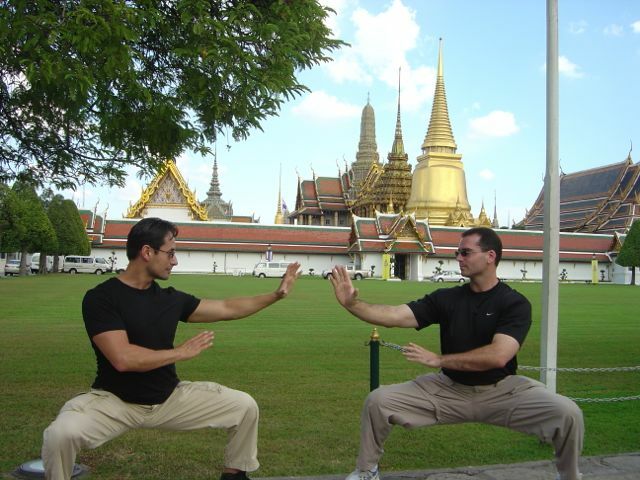 With Master John Buckley at the Grand Palace - Bangkok, Thailand 2006. 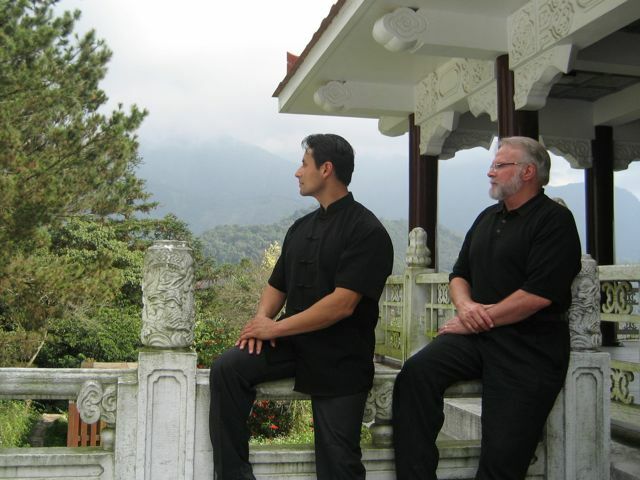 In action with Master John Buckley while touring in China. 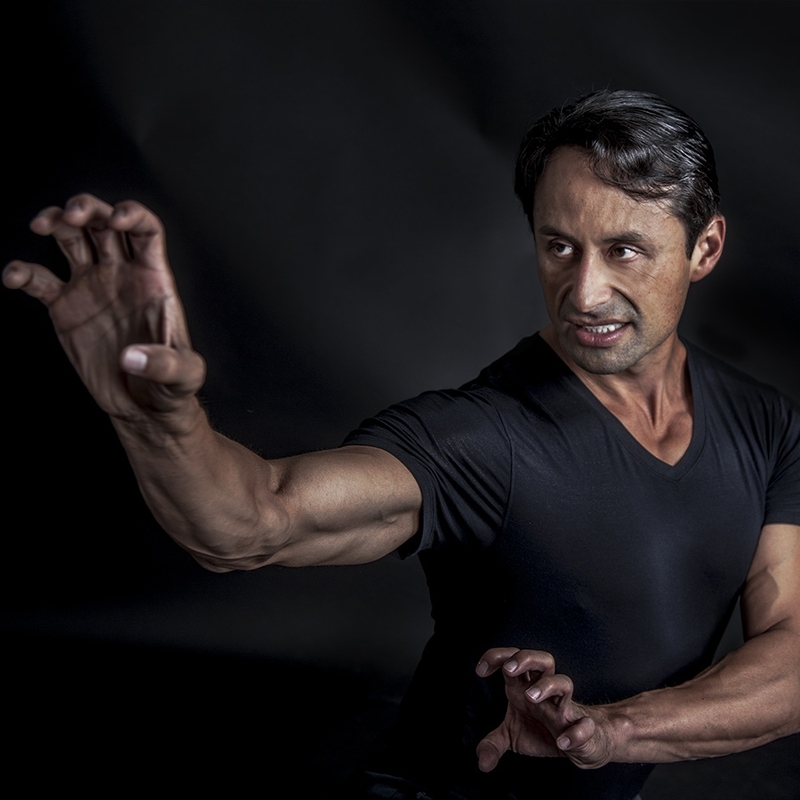 Master Ozuna began to study Martial Arts at age 6 when he took a course in Judo. From a very early age he was intrigued both by Chinese and Asian cultures and particularly fascinated by the way these cultures are expressed in both the hard and soft forms of Martial Arts. He saw his first Kung Fu demonstration at age 7 in Chinatown (San Francisco). Ever since then he wanted to pursue Chinese martial arts. 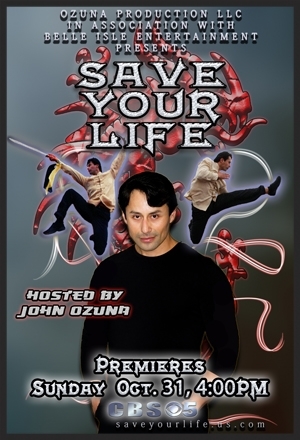 Mass Attack clip from the filming of "Dragon"
Master Ozuna had always promised himself that he would eventually return to martial arts. His plan was to join along with his best friend Damien Leyva. Sadly, Damien tragically lost his life. Keeping his promise to Damien, he continued in June of 1981, at age 13. He attended his first class at the San Jose location of the Richard Lee's East West Kung Fu Karate School where he met Grand Master Richard Lee and began his studies of Bok Fu Do. 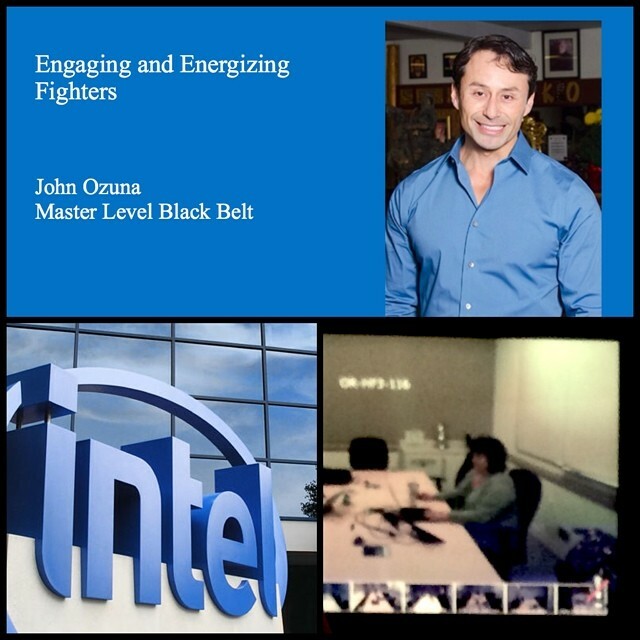 Master Ozuna began instructor training as a white belt! He pursued his studies with such dedication and drive that Grand Master Lee commented, “You are going to be one of my Black Belts someday”. His path became clear. 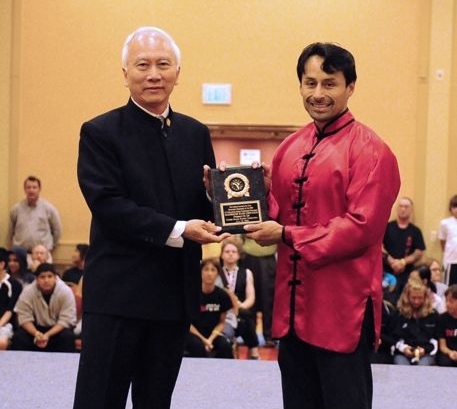 Master Ozuna became an instructor at East West less than a year after beginning his Bok Fu Do training. 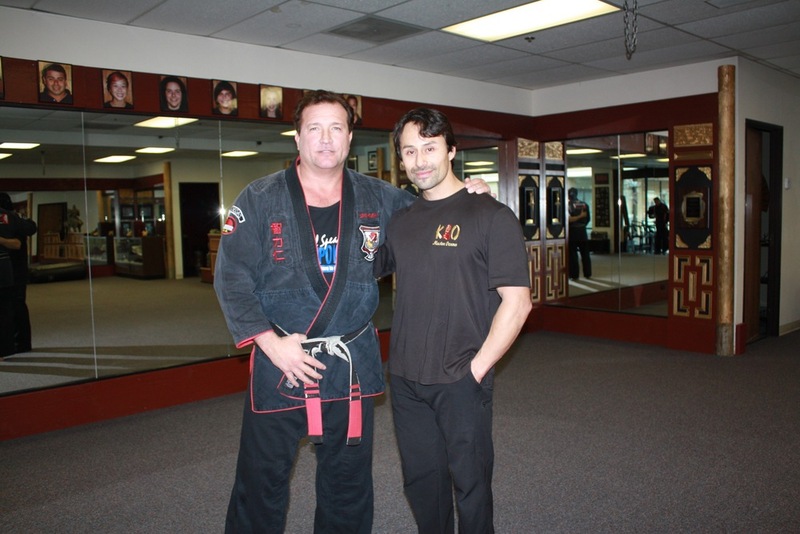 He earned his Black Belt in the summer of 1988 after a long and grueling testing process. 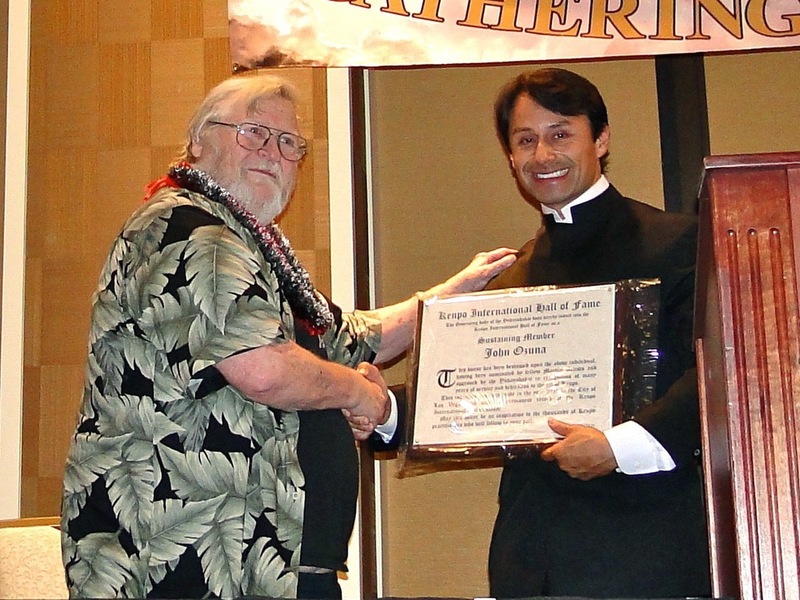 Master Ozuna co-founded K.O. Kung Fu Karate School with David Kirby in the summer of 1989. The name K.O. was taken from the last names of the two founders (Kirby, Ozuna) and does not stand for "knockout". They decided the name “O-K Karate” was not as appealing. Mr. Kirby left in 1992 and Master Ozuna became the sole proprietor, but decided to leave the name the same. The school remained in Gilroy until the end of 1994. At that time, it moved to San Jose. Grandmaster Lee having a meeting with Master Ozuna before competition at the World Championships in Taipei, Taiwan 1992. His most memorable tournament by far was the first World Kuoshu Championship held in Taipei, Taiwan in 1992. Grand Master Richard Lee coached the U.S. Championship Team. At the time John Ozuna weighed 143 lbs and was supposed to fight in the “lightweight” class (max weight 144 lbs). Due to a last minute coaching decision (not by Grand Master Lee) Master Ozuna was bumped up two weight classes to fill a vacant spot on the U.S. Team. Two weight classes put him in the “light heavy” weight class which has a max weight of 175 1bs. At the first weigh-in, Master Ozuna was told he could not fight as a light heavy weight unless he gained 25 lbs!! He had 1 hour to accomplish this. After eating multiple apples, oranges, power bars, etc. he realized he needed another weight gain solution. His team uniform (a sweat suit) had several pockets. His teammates helped out, filling his pockets with water bottles, cameras, fanny packs of coins, etc. At the next weigh-in he tipped the scales at 151 lbs, 17 lbs short of the mark!! He was allowed one more attempt. After he acquired the remainder of the U.S. teams complete portfolio of cameras and assorted electronic devices, at the final weigh-in, Master Ozuna met the bar and qualified to fight as a light heavyweight. 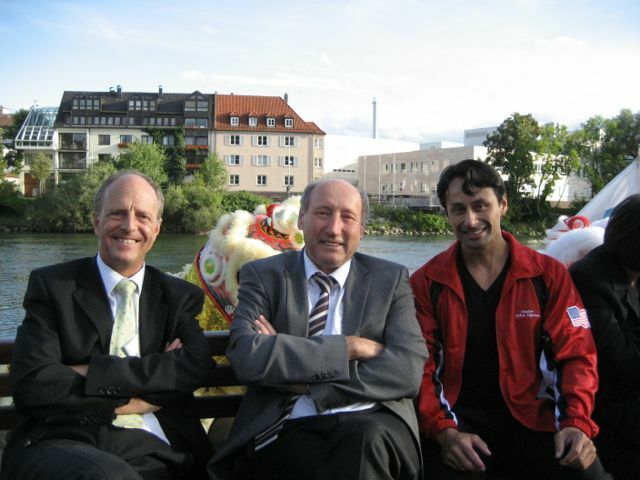 "When I recount my experiences as a martial artist, I am compelled to describe them in terms of my relationship with Grand Master Richard Lee and how he has shaped my life and my journey as a student of Bok Fu Do. 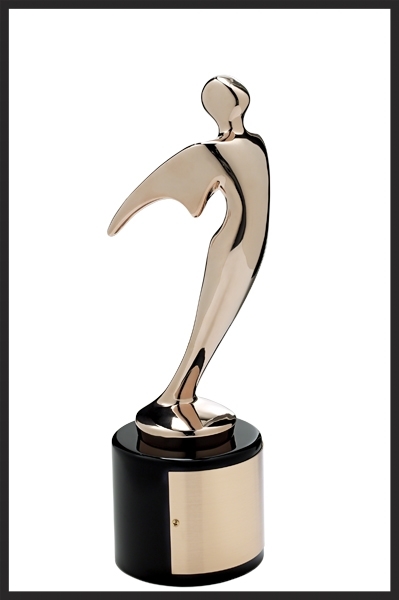 At every turning point and milestone he was there, gently guiding me to make the right decisions. His quiet support delivered with a hint of humor, was heard loud and clear. His teaching gave me the confidence and direction I needed to endure life's most extreme challenges while constantly striving to be a better martial artist, and more importantly a better person. Grand Master Lee gave me a template for how to live my life. There are many martial arts students who consider themselves experts and thrive on recognition. His mild-mannered approach to teaching and his low-key confidence served as a model to how I should live. He taught me the importance of humility. The most effective martial artist tends to be the most unassuming because they are confident in their abilities and don't have to be demonstrative. Humility allows us to accept instruction at any level, and continue to build knowledge and understanding. He has taught me how to diffuse a tense situation. When someone is aggressive, you must remain controlled. When someone is permissive, you must be assertive. By showing me this, he helped me see that the tenants of martial arts can be applied to everyday life. They can be useful anytime, anywhere and in any situation. I could never fully express my gratitude for Grand Master Lee's wonderful gift of knowledge and time. I can only help him to continue his legacy with the same integrity, standard and philosophy as he intended."